At FP Logistics, we believe that we are all impacted by the potential environmental consequences of global climate change, and we realize that a commitment to going green means more than energy efficiency or reducing our carbon footprint. For FP Logistics and many of our clients, it means reducing the cost of doing business by making energy management, sustainable development and a healthy work environment a critical part of our business plans. We recognize the potential of cleaner technology and try to make decisions that are both socially responsible, environmentally committed, and commercially sound. FP Logistics is committed to a sustainable future and to improving the social, environmental and economic well being of the communities we serve. One of our biggest goals in the administrative departments of FP Logistics is to create the truly paperless office! In the past year, we have already eliminated over 75% of the paper that was used in creating orders, printing pick sheets and invoicing clients. Our managers and system developers are absolutely committed to eventually eliminating all paper from our operations. 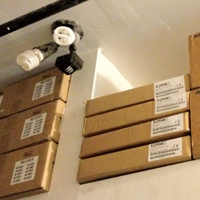 In our warehouse, the majority of the lighting fixtures are activated by motion sensors. That means if someone isn't in an aisle picking products, the lights stay off! Also, there isn't a single conventional light bulb in our building! We strive to use energy efficient fluorescent and compact fluorescent lamps in all of our offices and warehouses. And from a rental perspective, we offer LED driven lighting fixtures much closer in price point to conventional ones so our clients are more likely to specify energy efficient rental equipment for their productions. 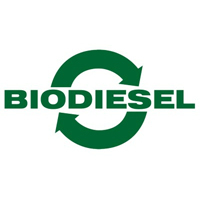 We are proud to say that as of 2012, FP Logistics fleet of box trucks are exclusively running on biodiesel fuel. Biodiesel is a renewable, clean-burning diesel replacement that is reducing our dependence on imported diesel, creating green jobs and improving our environment. It is made from an increasingly diverse mix of resources including agricultural oils, recycled cooking oil and animal fats. 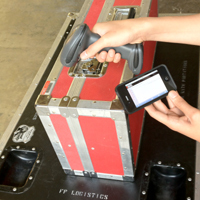 Our fulfillment department is doing it's absolute best to make as little of an impact on our environment as possible. First of all, whenever shipping cartons are received from our vendors, we pull all of the void fill (packing peanuts, foam, packaging paper) to be reused for outbound shipments. 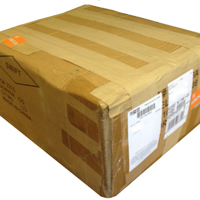 The outer shipping boxes from receiving are saved and reused whenever they're deemed acceptable for reuse, or otherwise sent out for recycling. And when we do purchase shipping items, we choose only 100% post consumer recycled materials. While these practices can sometimes make your order's outer box look a tiny bit less presentable, (don't worry, 10 years of shipping experience ensures that your products will arrive safely) it's positive effect on the environment is quite substantial! At FP Logistics, we know that "going green" won't happen overnight, but we're committed to continuous improvement as we reduce the environmental impact of our operations.